The scene at Harrogate's Valley Gardens earlier today. The police tape, cordons and sense of lingering horror at what's happened, gave Harrogate's Valley Gardens an eerie feel today, residents have said. Shock, anger and disbelief are just some of the emotions that have been expressed, following a serious assault which saw two teenage boys being taken to hospital yesterday. 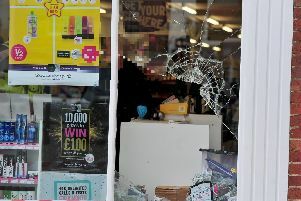 Two teenage boys from the Leeds area have been arrested in connection with the incident, and remain in custody. There are unconfirmed reports that this may have been a stabbing incident, but North Yorkshire Police are still describing it as an assault which left the boys "seriously injured." Alarmed Harrogate residents have taken to social media to share their concerns at such an attack happening in their town, and at a park which they have "always felt safe in." 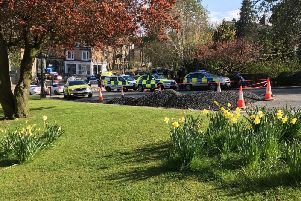 North Yorkshire Police have stepped up their patrols of Harrogate to reassure residents, but a number of visitors to Valley Gardens have pointed out how quiet it was there today in the aftermath. One visitor said: "Never seen Valley Gardens so quiet. Eerie." Another Harrogate resident said: "Hate not feeling safe - love Valley Gardens, having a walk or Parkrun, what is wrong with people?"